Tania Gonzalez (left) with Josie Escoto, patient navigator with the Well Woman HealthCheck program at North Country HealthCare. Tania Gonzalez (left) was diagnosed with breast cancer in the fall of 2015. She had no health insurance and was ineligible for Medicaid. 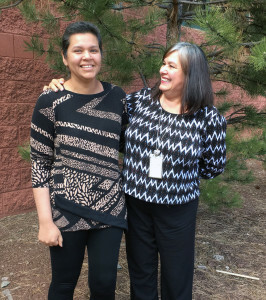 Tania is now cancer-free, thanks to North Country HealthCare’s Well Woman HealthCheck program and Komen Arizona, which covered all the costs of Tania’s diagnosis and treatment.